The Society of Collision Repair Specialists last week released Parts 2 and 3 of its free educational resistance spot welding video series on YouTube, completing a free educational trilogy that should help a shop get ready for a crucial 2018 OEM requirement. General Motors had in previous model-year repair procedures permitted squeeze-type resistance spot welding and even encouraged shops to use it if possible. But from the 2018 model year forward, GM will outright require repairers to use only squeeze-type resistance spot welding in some situations where MIG plug welding had previously been acceptable. GM customer care and aftersales body/exterior aftersales engineering manager Jason Macco indicated in July that the decision was in part prompted by minimizing heat exposure for the large amount of structural adhesive GM’s using in newer vehicles. GM probably isn’t the only one demanding the equipment at some point or another during OEM-approved repairs. GM vets welders and lists the approved ones on its equipment for dealerships page — and you must use a squeeze-type resistance spot welder approved by GM, according to Macco. Shops needing to upgrade obsolete equipment or completely lacking a spot welder in the first place might benefit from some additional information about the the technology and the electrical systems needed to run it properly. There’s also the matter of how to use the thing correctly once the distributor delivers it to your shop. 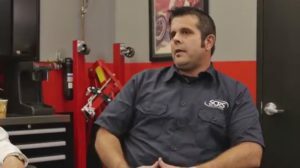 The SCRS videos, which feature a welder distributor, a welding specialist and two collision repairers, should help shop owners, managers and technicians on all these fronts. Part 1 examines factors like the amount of power needed by the welder — a consideration that might require shop upgrades before welding — and how to handle the magnetic field thrown off by the device. Part 2 looks at the common errors of poor tip preparation and inadequate coolant service, providing insight on producing better welds and maintaining your expensive spot welder. Part 3 gets into how inadequate tip pressure can compromise a weld and stresses the need for destructive testing. And in other welding news, SCRS on Thursday released a video about Billie Estes’ win of a $8,500 Q5.2 Synergic Inverter MIG/MAG welding package donated by Spanesi. Estes, of Miami, Okla.-based Estes Collision & Towing, was drawn during the Society of Collision Repair Specialists’ 2017 SEMA giveaway.